The Barrett-Jackson Live broadcasts of the 44th annual Scottsdale auction broke TV viewer records. The Barrett-Jackson Live broadcasts of the 44th annual Scottsdale auction broke TV viewer records to become Velocity’s most-watched series “among households, persons 2+ and men 18+ in ratings and delivery,” the Discovery Studios’ cable TV affiliate reported. More than 5.1 million people tuned in to the six days of live coverage, Velocity said. The telecasts on January 13, 16 and 17 became Velocity’s three highest-rated primetime shows among men aged 25-54. 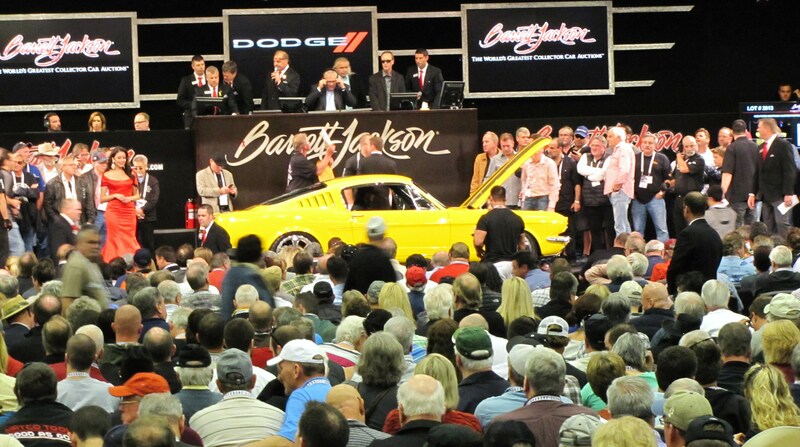 The first five nights of Barrett-Jackson Live delivered the five largest audiences ever in primetime for the network for households of 2+ persons and among men 18 and older. The coverage was a first for Velocity channel, which became Barrett-Jackson’s television affiliate this year. Previously, the auctions were shown on Speed and Fox Sports. Velocity and its parent, the Discovery Channel, have contracted with Barrett-Jackson to telecast its collector-car auctions in Scottsdale; Palm Beach, Florida; Reno, Nevada; and Las Vegas. 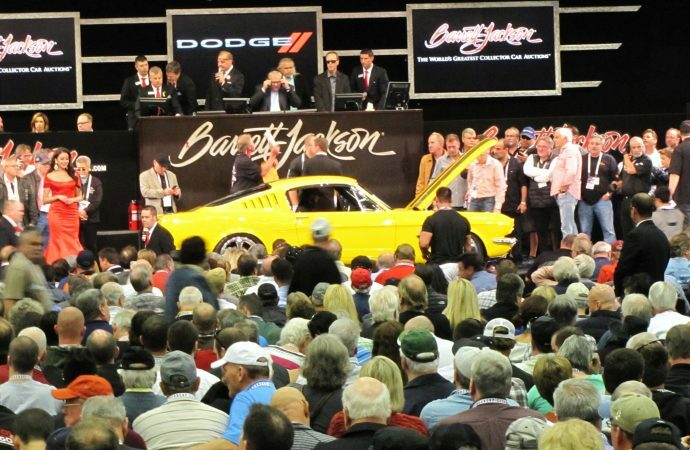 Barrett-Jackson’s home event was held January 10 through 18, the longest auction in the company’s history with days added on to accommodate the sale of the huge collection of cars and automobilia from Chandler, Arizona, millionaire Ron Pratte. The high ratings for Tuesday, January 13, could be attributed to the first day of sales of Pratte’s cars. That sale also marked a Tuesday attendance record at the auction venue. “Our Scottsdale auction was an incredible, record-breaking event,” said Craig Jackson, chairman and chief executive of Barrett-Jackson. “Not only did we shatter our attendance and sales records, but the fact that we became the top telecast in Velocity’s history in our debut event with them is something I’m really proud about. Velocity’s highest rating for the Scottsdale event occurred during the “prime time” Saturday sale of the auction’s top car consignments, including the high-end Salon Collection and the 30 best Pratte vehicles.